This summer has been an unreasonably hot one here in Portland and since we Portlanders just aren't used to the heat waves that are hitting us, we've been having to find ways to cope with the high temperatures. My coping mechanism of choice? LaCroix. I first heard of LaCroix three summers ago when my friend Lindsay and I were cooking for our friends' company retreat and there was a LARGE order for LaCroix on the shopping list. I gotta admit, I didn't get what the hype was, since in my eyes sparkling water was sparkling water no matter who made it (and I wasn't a big fan to begin with), but that summer LaCroix changed my mind. Fast forward to this summer and add the heat waves, all the flavors that LaCroix has come out with, me being almost a year sober and really missing a nice cold drink on a hot summer day, and you've got my three cans a day obsession with this drink. Now, there are lots of good flavors that they have, but I have to say I am a simple girl with simple tastes and the pure and coconut have been the ones on rotation in my fridge. And while I enjoy them by themselves, the other day I wanted to spiff things up a bit and decided to make a syrup and a shrub to add to them. 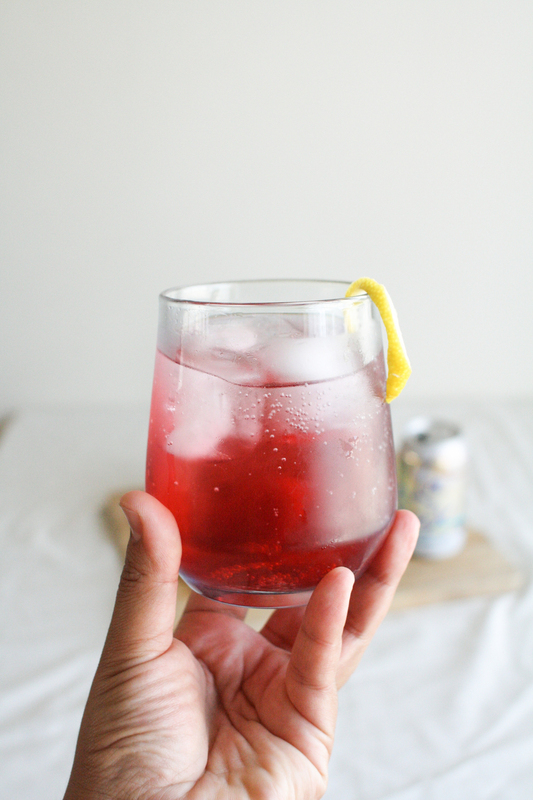 My mom had just come back from her trip to Mexico and brought me back hibiscus flowers to make "jugo de jamaica", a Mexican drink enjoyed a lot in our very hot hometown in Sonora, but I decided to make it into a syrup instead. I also had some blueberries to use up and had never tried my hand at a shrub (otherwise known as a drinking vinegar) before, so I figured I'd try one of those as well! In a pot, bring all ingredients to a boil. Once boiling, reduce heat to medium and simmer for 10 minutes. Turn off heat, cover with lid, and let steep for 10 minutes. Strain through a sieve or cheesecloth, let cool, refrigerate, and then enjoy in a coconut LaCroix! 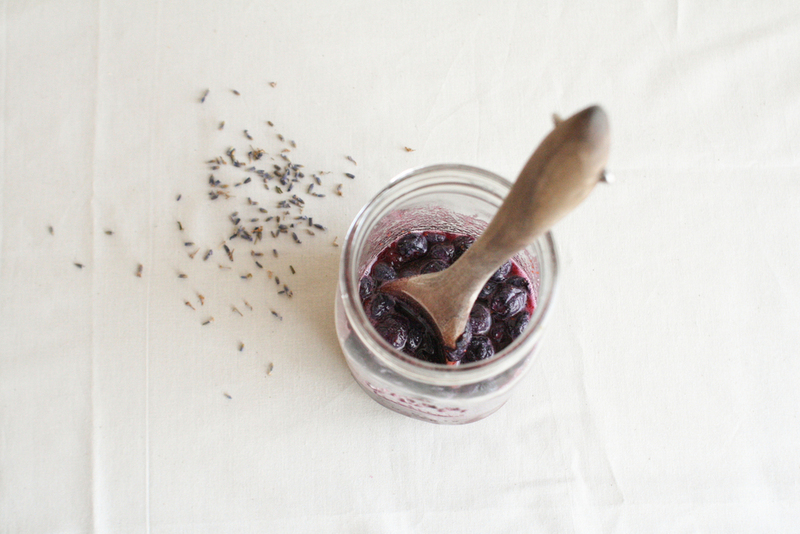 In a bowl, add sugar to the blueberries and muddle together, then put in a jar (mason/weck jars are perfect for this!). 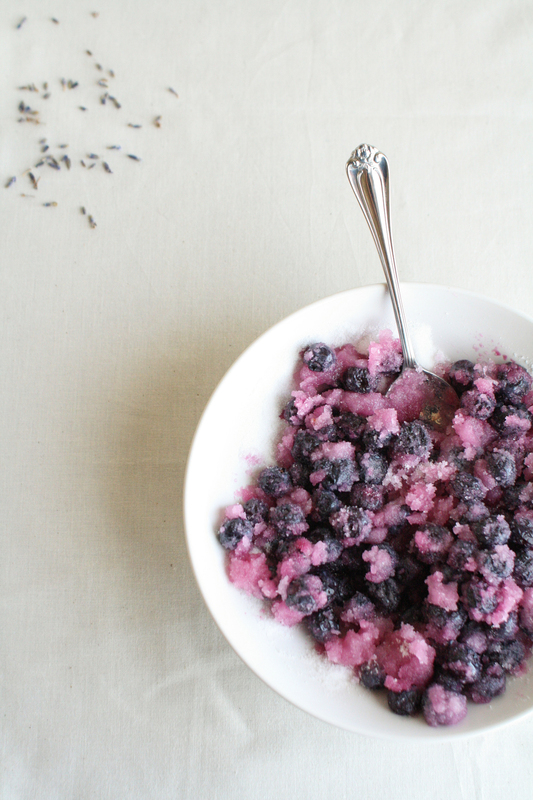 Add apple cider vinegar and lavender, give a good shake, and put in refrigerator for two days, shaking once a day. Add to a pure LaCroix and enjoy! 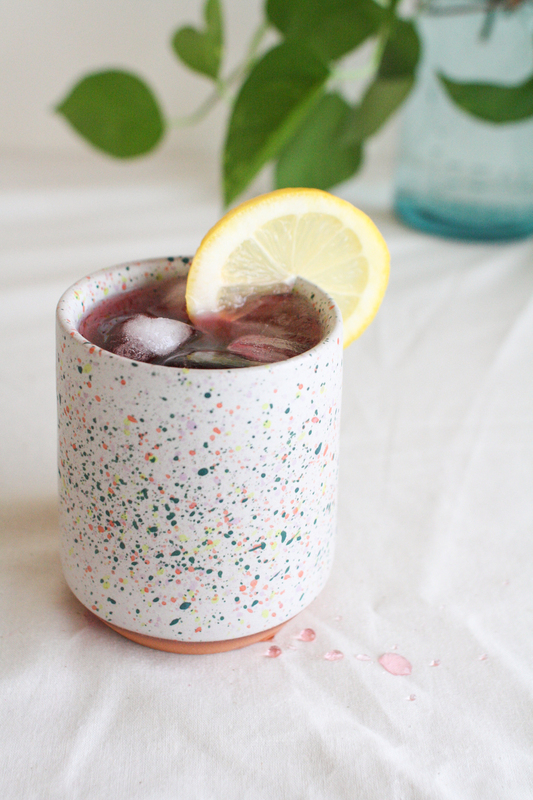 Extra refreshment - add a lemon slice and serve in a fun glass or cup, like the confetti tumbler or gorgeous glassware from Shop Mazama! They just released their line of glassware and a limited run of their confetti wares, which are just so perfectly fun and joyful! Hope you guys enjoy if you get around to making these! Oh, and freezing the shrub and syrup in ice cube trays and then adding them to LaCroix in a mason jar was also a really good way to enjoy them on the go!